If you notice that your dog shakes his ears periodically, you should not take it for a game. He probably feels itching or pain inside the hearing – in any case, he needs your help. Dog owners know that from time to time their Pets shake their ears to the representatives of some species, this process may be accompanied by enough loud claps. However, if you notice that your dog shakes his ears more often than usual, it should make you wary. 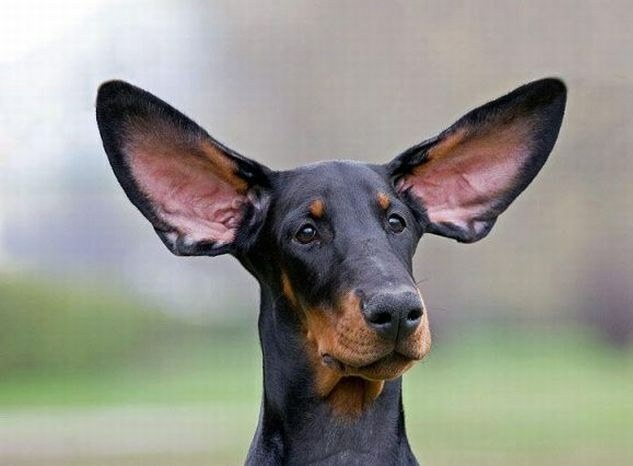 The fact that the periodic shaking of the ears can be a symptom of the beginning of the diseases of the ear in dogs. If you notice that your dog is clearly concerned about any unusual sensations in one or both ears, the reason for this may be the beginning of inflammation. Start its development may fall into the ear of water or a foreign object, and the animal is hypothermia and infection. If the inflammatory process is accompanied by the obvious pain the animal, the visible swelling of the ear, secretions from the auditory canal and an unpleasant smell, hurry to the veterinary clinic. Time untreated otitis media may cause a rapid deterioration of hearing in the animal. Be a catalyst for inflammation of the dog's ears can ear mites – these disgusting little insects irritate the ear tissues, and the animal is constantly itching. If the owner does not pay attention to the strange behavior of the pet in the early stage of the disease, do not have time to heal small injuries of the ears, caused by scratching, can lead to the development of otitis media. If you notice reddish-brown discharge from one or both of the dog's ears, accompanied by a disgusting odor, the reason probably was a yeast or fungal infection. What if the dog constantly shakes his ears? Look in the ears of your pet – if they were blackened from the inside, it can indicate lesions of the ear mites. At an early stage of the disease you can cure your pet yourself, having bought at the pet store special drops against these harmful insects. Treatment of ear mites in dogs is quite long, but in most cases the successful process. In all other cases, take the animal to the doctor. A veterinarian will examine the dog, put her a diagnosis and prescribe treatment. He may ask you about the other animals is due to the fact that some infections affecting the inner ear dogs, can be transmitted from one pet to another; in such cases and to treat at the same time as all the animals. Exactly follow the recommendations of a veterinarian, and soon your dog will stop shaking ears and test anxiety.